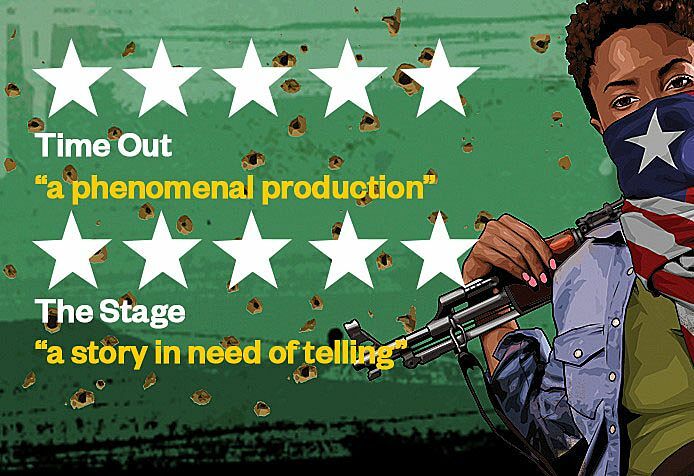 Following the performance of Eclipsed on 29 April 2015, our Associate Director Tinuke Craig sat down with Anneke Van Woudenberg, from Human Rights Watch to discuss the roles and experiences of women in the Second Liberian Civil War. Watch the below video to see how theatre can tackle and discuss these vital questions about human rights around the globe and throughout history. Array (  => Array ( [id] => 62 [created] => 1430924580 [updated] => 1430924580 [ordering_count] => 55 [intro] => Watch our Eclipsed post show talk with Human Rights Watch [title] => Eclipsed: Gate Debate with Human Rights Watch [slug] => eclipsed-gate-debate-with-human-rights-watch [category_id] => 8 [body] => Following the performance of Eclipsed on 29 April 2015, our Associate Director Tinuke Craig sat down with Anneke Van Woudenberg, from Human Rights Watch to discuss the roles and experiences of women in the Second Liberian Civil War. Watch the below video to see how theatre can tackle and discuss these vital questions about human rights around the globe and throughout history.